EROAD ELD Review - Is It Really The Most Cost Effective Device? 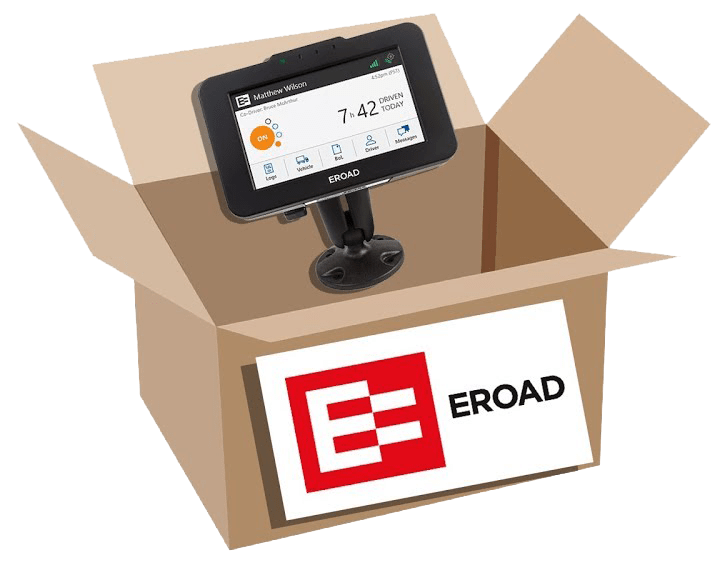 According to thousands of its users, EROAD Ehubo is an accurate, durable, dependable and affordable electronic logging device (ELD). 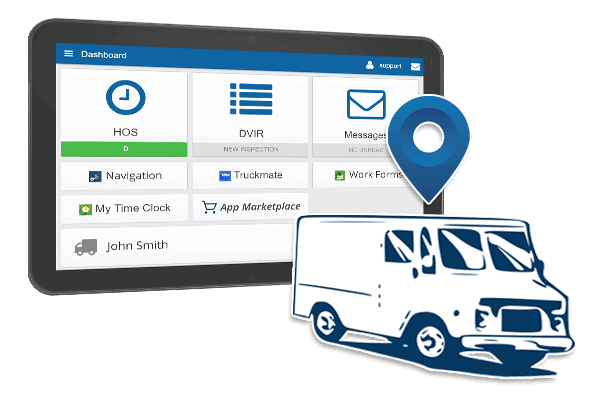 Although this ELD may not have some of the features you will find in costly units, it has the basic capabilities you need to log hours of service (HOS). To begin with, this ELD is compliant with FMCSA Mandate requirements. You’ll also like the fact that it is easy to use. As a matter of fact, it features an easy-to-use interface and is packed with a horde of features that makes reviewing and editing logs easier. 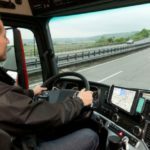 The product also has a range of back-office features and capabilities to offer drivers, truck owners and fleet managers alike. Throughout this guide, you will learn why an increasing number of truck owners and fleet managers are opting for the EROAD electronic logging device. 1.3 EROAD ELD Pricing - What Does It Cost? A considerable number of consumers today would like to buy products from leading manufacturers. Well, this ELD device was manufactured by one of the leading providers in the industry. EROAD was one of the early adopters of this technology. As you’ll come to learn this ELD option is much more than just a logging device. Initially, the system was designed to serve as a distance tracker for the purpose of fuel tax calculations. As such the system features some of the best IFTA reporting capabilities in the industry today. Over the years this device has helped businesses save more money by just claiming the exempt fuel tax miles. In addition to such cost-saving features, this device is loaded with several other convenience and performance tools. For instance, it allows dispatchers to communicate with drivers via text messages, as well as set geofences. This is done in a bid to monitor activity at locations that are deemed to be important for the company. Other Ehubo features you’ll come to like include vehicle maintenance tracking, DVIRs capabilities, and the ability to monitor safety events. Such events include harsh braking and hard cornering. 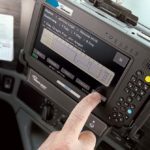 EROAD ELD Pricing - What Does It Cost? 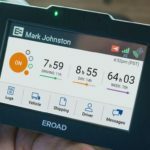 As mentioned earlier in this guide, the Eroad eld is one of the most affordable logging devices in the industry today. In this regard, the provider offers multiple pricing plans for its customers. To begin with, the device does not require any upfront payment. Again, the monthly subscription plans are quite affordable. The much you will end up paying per month will mainly depend on the features you want on your logging device. Simple ELD-only Plan - this is the basic and most affordable monthly subscription plan by this provider. 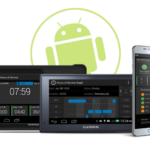 For only $35, this plan offers you the basic ELD capabilities and fleet management tools. Mid-Range TotalTax Plan - this plan office almost all features and capabilities except the most advanced fleet management features by the provider. To get this plan, you’ll be required to make a monthly subscription of $45 per month. TotalFleet Plan – in order to get all the features and capabilities not offered by the above-mentioned plan, you should consider getting the TotalFleet subscription plan. This plan costs $60 per month. Regardless of your preferred monthly subscription plan, the provider will require you to pay an activation fee of $35. Since there is no upfront payment required for the hardware, you will find this to be one of the most affordable electronic logging devices out there. As a matter of fact, Eroad has been proven to offer great value for money. Additionally, you'll be glad to learn that all EROAD plans are backed by hardware warranties. The provider will also offer you reliable technical support, regardless of the subscription plan you are on. To ensure that you get the most out of your software functionalities, the manufacturer offers free instructor videos on its website. EROAD's ELD device is essentially designed to serve as a single platform, offering all the solution you need for a continuous ROI. Despite its simplicity, the platform will solve all your electronic compliance, fleet management, safety and tax needs from a single platform. Although the ELD itself is an affordable option, it features advanced technology for enhanced reliability, ease-of-use and accuracy. Rather than just offering you ELD software and hardware components, EROAD will serve as your technology partner today and in the future; with an innovative range of features to suit your growing business. 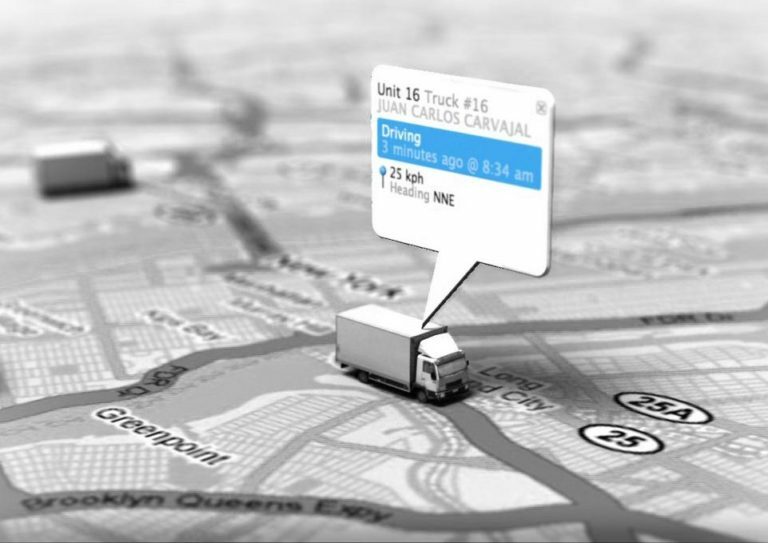 This being the case, you can rest assured that the provider will always meet your vehicle tracking, fleet management and fleet telematics needs. Though not a requirement by the FMCA, having a compact, space-saving ELD installed in your vehicle is great, right? This is why Eroad offers you the Ehubo device—an in-vehicle hardware unit that features a sleek, space-saving and modern design. This device is essentially designed to transmit, store and record encrypted data continuously through a cellular network. The information received from the vehicle will be processed by the EROAD application server. This data is then availed to the user through a secure website, referred to as the Depot. From this web portal, you will be able to save, view, download and export such data. As you'll come to learn the system uses a bank-grade, secure payment gateway to maintain and retrieve motor carrier records as well as support carriers to pay and file for weight-tax obligations. As you may have learned, a considerable number of electronic logging devices do not support IFTA reporting. This is particularly the case for the more affordable eld solutions. Unlike such products, EROAD's ELD is equipped with the right tools and capabilities for ELD compliance and IFTA reporting. Such tools are mainly offered by the Eroad Electronic IFTA. This feature is essentially meant to help you meet record keeping and tax filing obligations. In its functioning, the in-vehicle device captures and automatically feeds your mileage information to the EROAD's IFTA Return. This will, in turn, help you avoid having to reconcile reports and sift through paperwork each quarter as you fill your returns. This being the case, the system is renowned for offering revolutionized international fuel tax agreement record keeping experience. The various mandate requirements are meant to increase safety on the roads. As such, the right electronic logging device should have the right features for enhanced vehicle safety. In this regard, EROAD technology and services are designed to simplify safety and compliance regulations. With such technology in your business you'll be able to reduce costs and liability across the fleet. This will also create a safer work environment for your employees. The safety features offered by this product include; an overspeed dashboard, virtual speed camera, EROAD Inspect, EROAD leaderboard, driver insight, driver safety report and maximum speed alerts. A good number of electronic logging devices today offer fleet management tools and features as well. As such, the fleet management tools offered by this product are some of the things that make it unique and desirable among fleet owners and managers today. As you will come to learn the fleet management feature suit offered by this provider is meant to improve productivity in your business. Over the years, the system has been proven to deliver accurate and user-friendly reports and data. Not only does this help mitigate costs, the device also reduces downtime and improves customer service in your business. Some of the desirable features and capabilities you will find in this suite include historical daily fleet activity, geofence site activity, truck traffic in satellite map layer, messaging and fuel management. 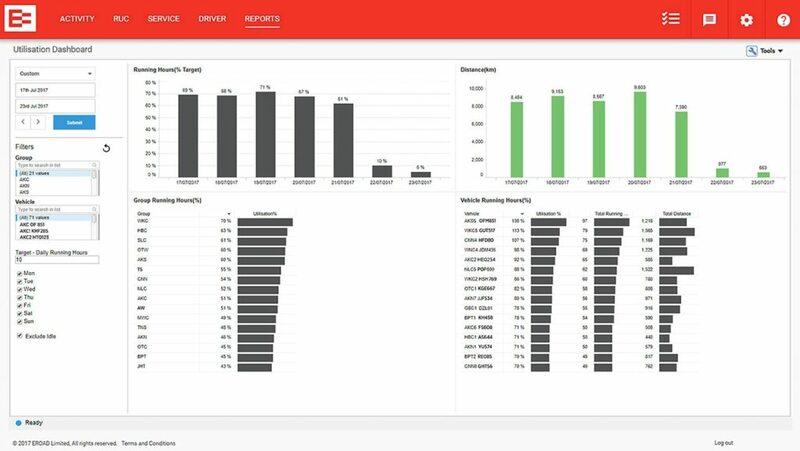 With the EROAD fleet management feature suit, you will also get precise fleet tracking, asset tracker integration API, idle report and highway fuel usage reporting capabilities. As opposed to paper logs, electronic logging devices are more accurate reliable and easier to use. In this regard, the product has been proven to help both drivers and fleet manager manage their records in an easier and more intuitive manner. To help drivers with hours of service record keeping, the provider offers drivers an in-vehicle HOS compliance guidance and violation reporting solution. With such a gadget installed in your vehicle, you will find it easier to monitor your hours of service for enhanced compliance. As mentioned earlier in the guide, this device relies on cellular data connection to share, save and retrieve information to the portal. While this is the case, you will not need to rely on third-party cellular data connections. In this regard, the provider offers a reliable data connection with each device. 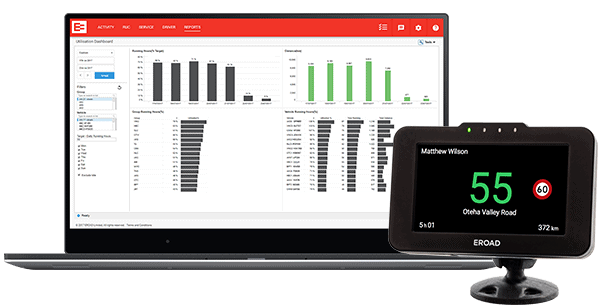 With such an electronic logging device solution, you do you not have to manage multiple sim cards or pay for expensive data subscriptions offered by some third-party providers today. You do not want to be on the wrong side of the law, as far as hours of service (HoS) compliance is concerned, right? To help you avoid such an unfortunate scenario, the EROAD ELD solution is designed to give you timely and relevant HoS violation reports. In this regard, the ELD is designed to consistently send you reports on the non-compliant log issues you may be having. Such enhanced visibility of log violation will help improve driver safety. Additionally, this feature has been proven to curb the risk of carriers incurring penalties. As a matter of fact, this product has been helping fleet managers and truck owners to proactively manage risks in their fleets. In accordance with FMCSA mandate requirements, you will need an approved ELD to help with your roadside inspections. As far as roadside inspections are concerned, EROAD has a complete solution that has been designed to make things easier and keep you on the right side of the law. As such, your drivers will have an easier time retrieving and sharing the required documents with the inspecting officers. As such the inspections will be faster, allowing the driver to get back on the road in no time. Get timely and accurate driver's log of work hours with EROAD's Timesheet Report feature. In addition to the hours of service logs, these reports will also include miles traveled. You will also like the fact that the logs are CSV ready for exportation. Such aspects will make payroll administration in your fleet a walk in the park. Your preferred logging device should be able to cater for short-haul exemptions, in accordance to the FMCSA regulations. Well, this is one of the things the Eroad electronic logging device is good at. In addition to complying with FMCSA requirements, a good ELD needs to be easy to use, convenient and innovative. In this regard, thousands of drivers, fleet managers and truck owners can attest that the EROAD's electronic logging device is one of the best today. Ranging from reporting and compliance features to a rich and reverse back-office feature suite, this device has everything you would need. With such superior features and sturdy hardware, EROAD is definitely one the the leaders in the industry.